This system was designed and built for Areva for cleaning parts that go into nuclear fuel rod assemblies. The components are precision washed and rinsed to a high cleanliness level under strict guidelines. The system is fully automated using RamNet. 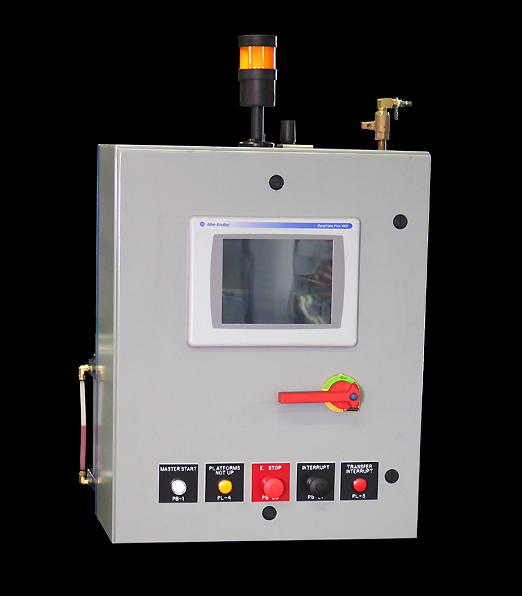 Critical operating functions such as temperature and water purity are tightly monitored within high/low limits. A fault alarm and system interrupt mode is automatically activated if functional parameters are not maintained. The cleaning system provides powerful turbo/agitation washing with high intensity ultrasonic cleaning using RAMCO MulipleRollover to repeat the dual mode process for a number of preset “rollovers”. 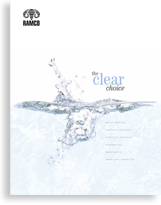 Multiple recipes for agitation washing and ultrasonic cleaning phases are provided. RamNet is a state-of-the-art network of microprocessors. Each stage has its own microprocessor installed and internally wired to all local devices to power-up and run that stage. The microprocessor controls the timing, sequencing and all solenoids relating to covers, elevators, pumps, ultrasonic generators, heat on/off, and temperature. Each microprocessor is connected with twisted pair to the adjacent electrical box on the adjacent stage. The entire system is connected to a central Ethernet hub. In this way all microprocessors are connected with one another. The main CPU is located in the Operators Control Station (above right and below). 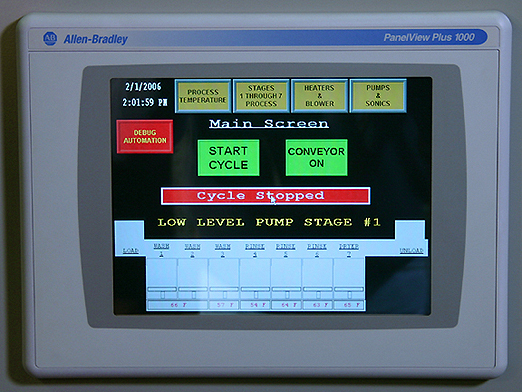 This system uses Allen-Bradley MicroLogix 1100 PLCs in Ethernet configuration with operator interface through a PanelView Plus 1000 touchscreen (below). A cable modem is provided for Internet hook-up. Using computer programming versus relay logic the overall flexibility of the system is greatly expanded. The operation, sequencing and integration of each stage is independently controlled from a single source. Only those stages that are in use for processing the baskets are sequentially activated. Multiple baskets can be run side by side with different programs. Baskets are recognized (by manual selection or bar coding) on loading. The overall program sequences the individual steps and times for each basket at each stage independent of the stages before or after. A cable modem is included to the system to help the customer on line with programming changes, debugs and system monitoring.